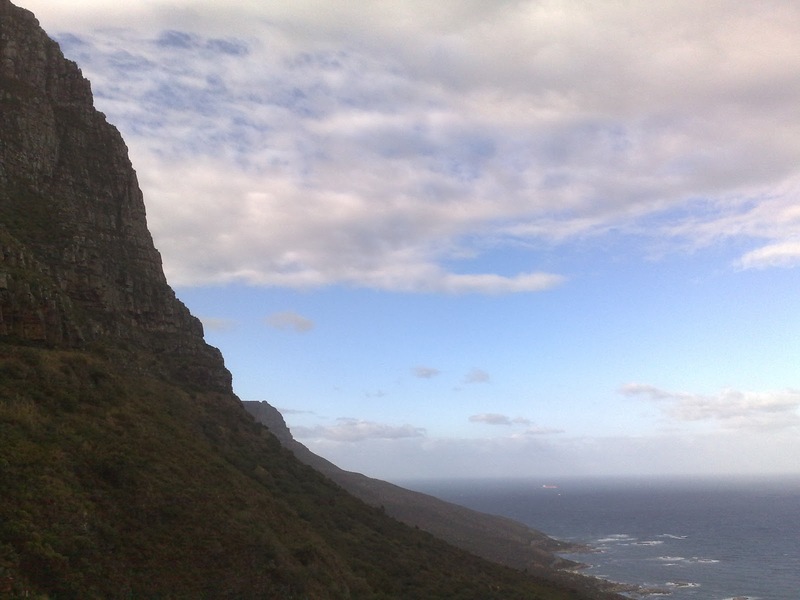 "Audentes fortuna iuvat", was indeed the case on Saturday morning because although there was a little rain falling as we drove up Kloofnek road, it let up as we entered the parking area and soon the bold were favoured as the clouds lifted and revealed the majestic view along the Atlantic seaboard with clear blue skies to seaward. It was a perfect spring morning as we ran through the fynbos glistening with crystal like drops and encouraged by the lusty singing of the birds as they dried out in the rising sun. 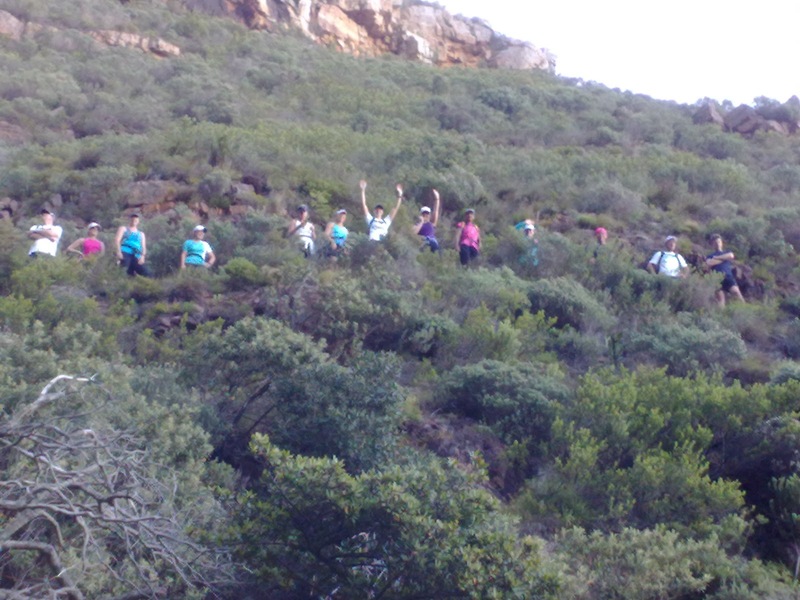 Mandla and the main group soon forged ahead and from their report had a good run to Slangolie ravine and back. On the return leg they trotted past the recovery group in fine style and later we found them basking in the sunshine in the parking area as they waited to ensure our safe return. All in all a thoroughly enjoyable and dry run. Why its called the "Pipe Track"
We had a good turnout of 35, including 7 newbies of which two, Haniche and Lena, were visitors from Germany who wanted a different South African Experience. 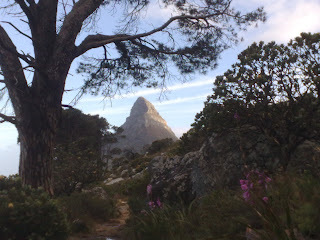 Fortunately the forecast light rain did not arrive and we set off from the Mountain bike parking area into a mild early summer morning. 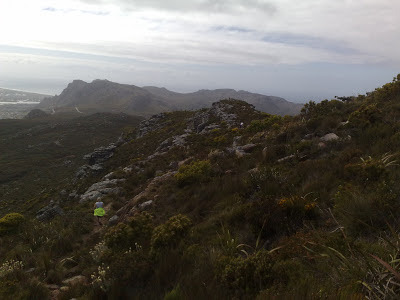 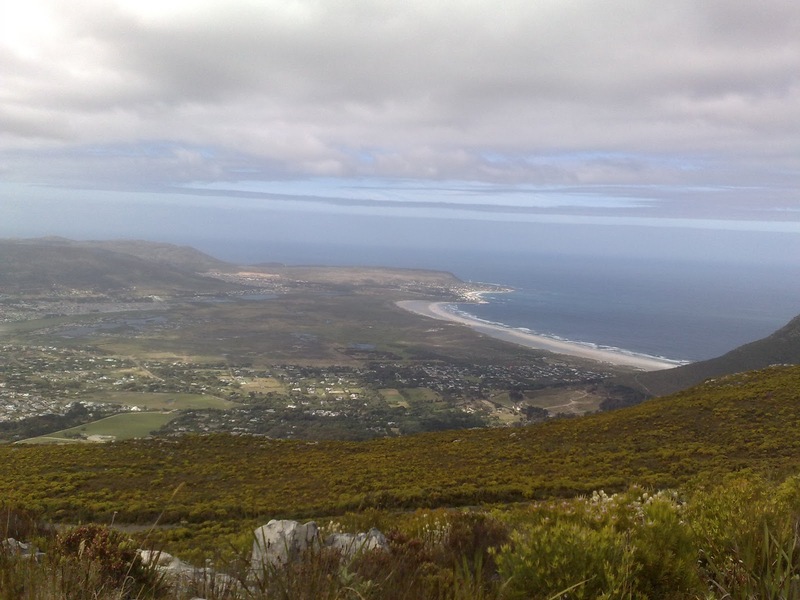 Initial climb up to Steenberg Ridge gott the blood flowing, and then the picturesque route along the ridge from where you can see both False Bay and the Atlantic coast. 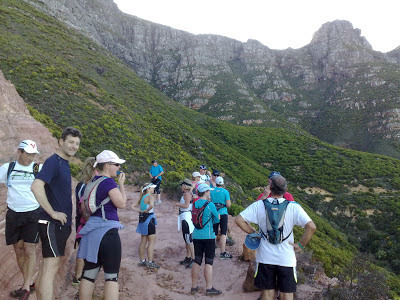 Despite having planned the route, I managed to miss the turn off for the amphitheatre path so the recovery group had to retrace our steps and so met up with the main group. Then followed a good fynbos run along the fairly level trail just under the crest of the amphitheatre overlooking Silvermine dam. 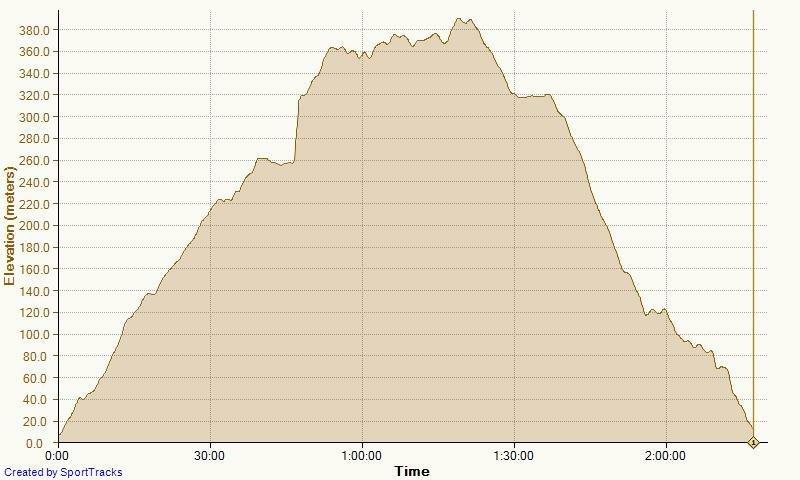 Again we all missed the turn off as it must have become overgrown, so we ended up running up the gravel road to the view point as opposed to taking the more direct route as planned. 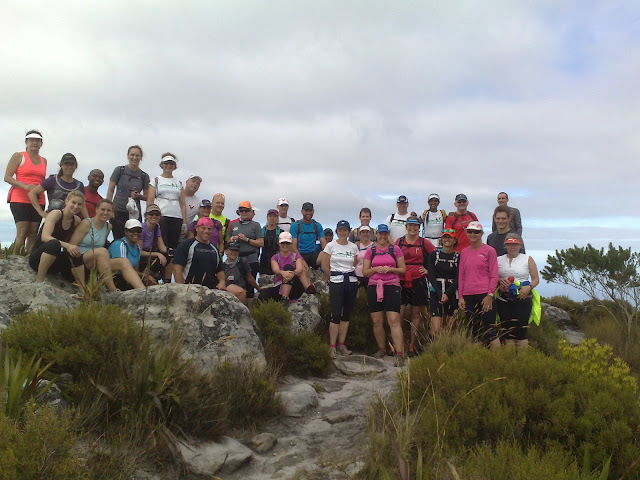 Time to admire the view and a group photo before returning to the amphitheatre fynbos trail and the descent down to the dam followed by an easy jog along the boardwalk back to the parking area. 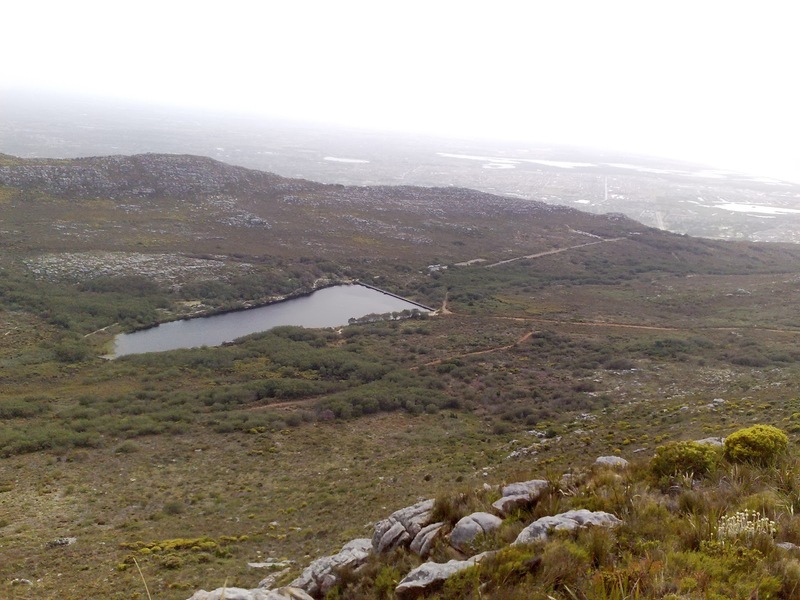 Special word of thanks to Michael Manning, a relative newcomer who has become a regular, for leading the group. About 11kms, taking just under two hours. 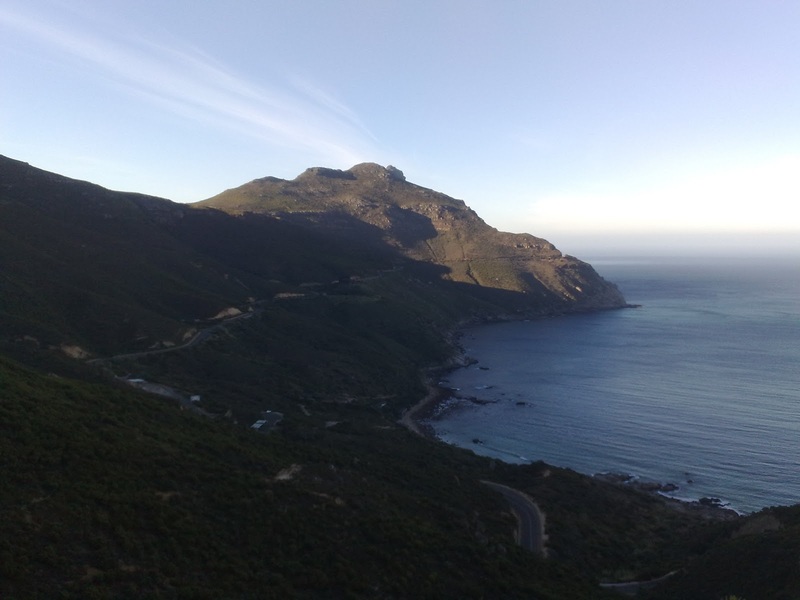 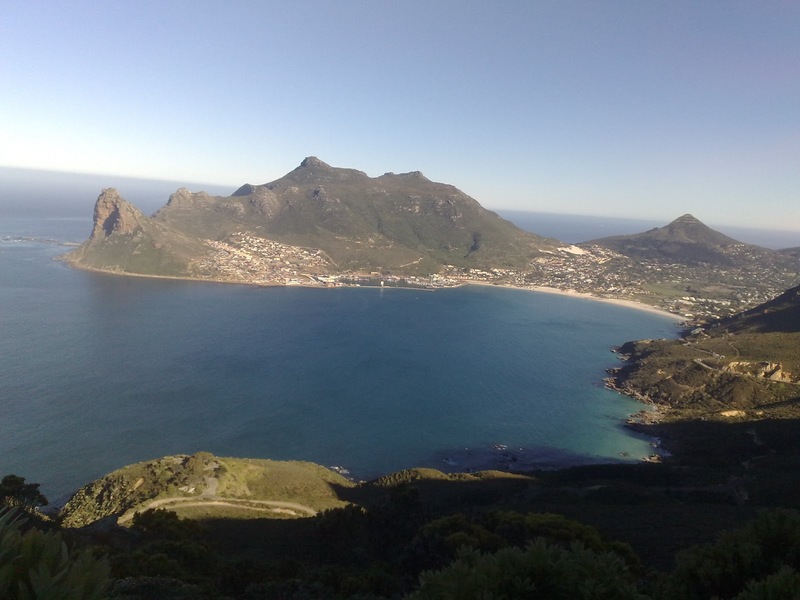 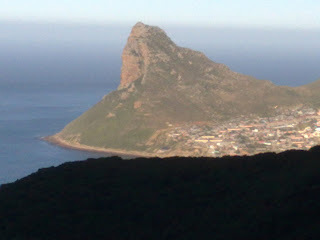 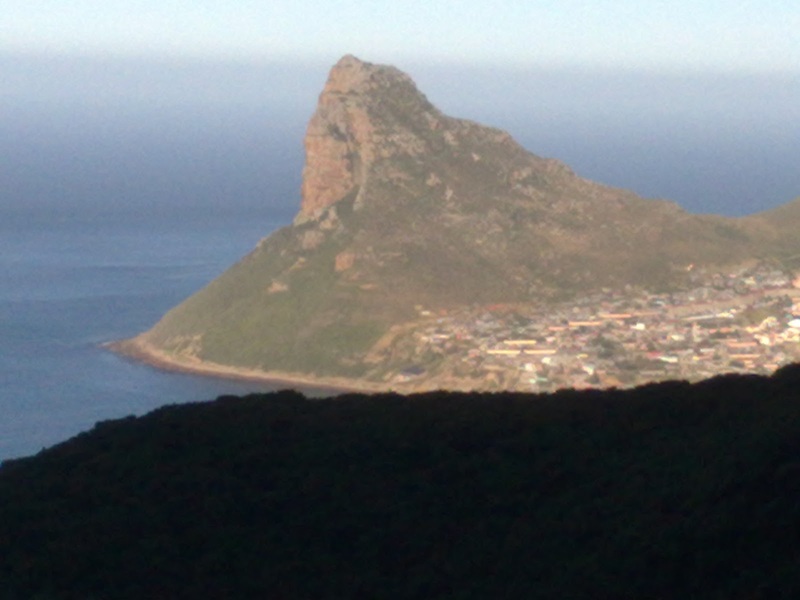 This week we had perfect weather for our run along the traverse above Chapman's Peak Drive. 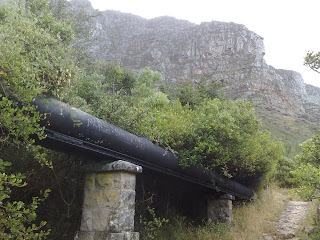 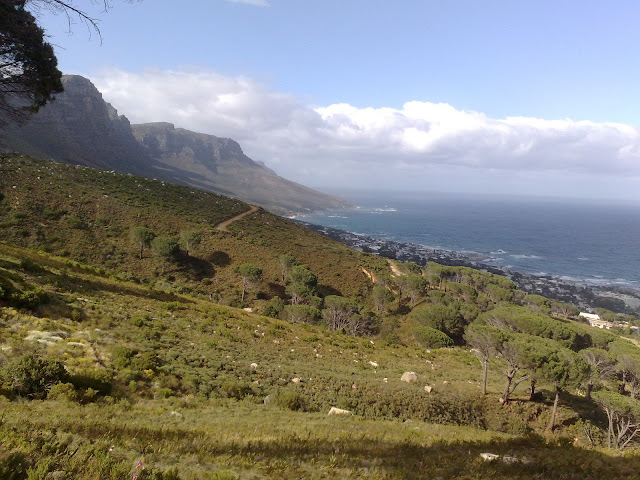 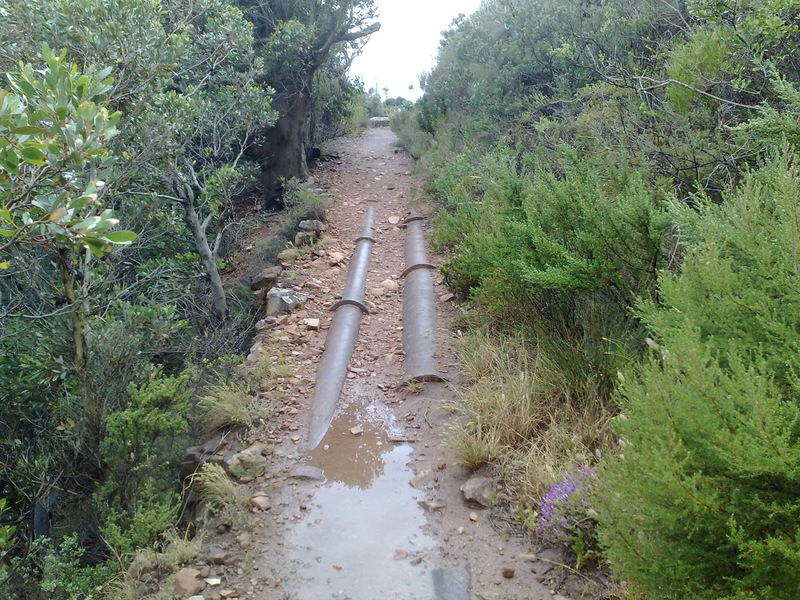 Our route was a run up the road to East Fort then the trail up and across to Blackburn Ravine where we crossed the stream and followed the trail all the way to Chapman's Nek. From there it was down to the road and an easy downhill jog back to the car park. Altogether 28 enjoyed what was most certainly one of our best sorties in recent times.